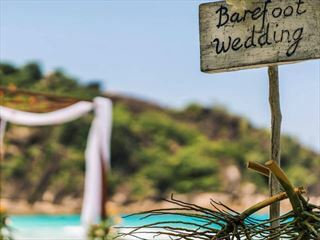 Thanks to its naturally romantic and unspoilt surroundings of pristine beaches, calm warm waters and year-round sunshine, the Seychelles offers the perfect location for a truly luxurious wedding abroad. 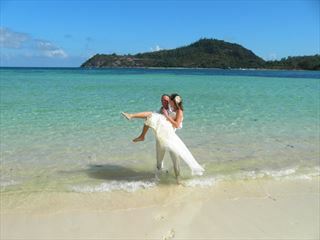 Of the 115 islands that make up the archipelago of the Seychelles, the two main locations are Mahe and Praslin. Every island in the Seychelles offers something different and many are easily accessed, giving you and your new partner the unique opportunity to witness rare flora and fauna in this truly unspoilt tropical paradise. 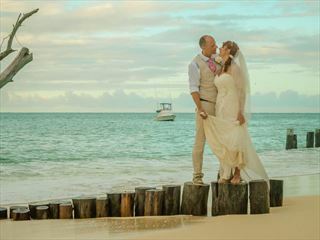 Whichever of our luxury resorts you’d like to stay at, we can help you organize your perfect wedding and guide you through every step of the way. Call one of our experts today to find out more. 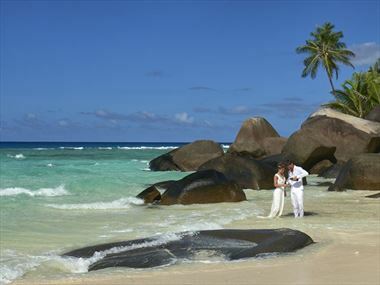 Denis Island offers the dreamy landscapes of the Seychelles with world-class facilities and luxury accommodation. 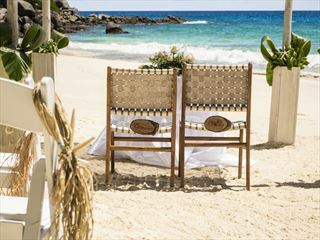 This private island resort is a romantic escape perfectly suited to honeymooners and couples.